Developing a Social Media Strategy, and Why You Need One. Conducting a campaign without a supporting social media marketing strategy will inevitably result in less than optimum returns. A “spray and pray” approach to social messaging is more likely to alienate would-be customers than it is to create new leads. In other words, developing a social media strategy is absolutely essential. A successful strategy involves carefully planning out what you want to achieve and how you are going to achieve it. In most cases this will be raising engagement between your brand and social media users. How do you go about developing a social media marketing strategy? A key element of a successful social media marketing strategy is collecting input from outside the marketing department. Engagement via social media channels has become about more than just marketing — customers expect support and service via social channels too. Your strategy should look at how customers engage with every aspect of your business so that you can build a strategy that accommodates them all. Before beginning any traditional marketing campaign, you would normally try to assess market attitudes towards your offering so you understand how to advertise it. The same is true of your social programs — you must listen to social channels before engaging on them. Take the time to monitor chatter on your target social platforms to get an understanding of social norms, interests and preferences. This information will then help you shape your messaging once you do start publishing. Your strategy has to have a series of goals, to help prove the ROI of your efforts, and to provide something to aim at. Objectives help to unite customer needs with those of your business to ensure mutually beneficial outcomes. Again, make sure you seek input from the rest of the business to define objectives that align with the overall strategy of your organisation. Your strategic objectives will define what success looks like, but you must have a way of measuring progress towards those goals. The key is to define a series of metrics that offer a genuine measure of success. 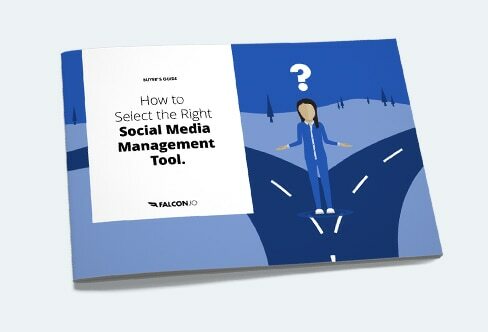 Ideally you will be using a social media monitoring platform that will allow you to collect, collate, and analyze metrics automatically, freeing resources for tweaking and improving the campaign. With customer preferences, strategic objectives, and social media metrics defined, the next stage of your plan is to develop content that will help you reach those goals. Tailoring content to the needs and preferences of your prospects will greatly increase the likelihood of engagement — and help you meet your strategic goals. Again, a social media marketing tool will help automate the publishing process. With the campaign under way, you must closely monitor performance so that you can make adjustments where required. Are goals being met? Within the expected time frames? What is working, and what needs to be improved? The more proactive you can be with the analysis process, the more quickly and effectively you can enact changes to improve engagement. Once the campaign cycle has completed, initial focus will be on evaluating ROI and overall success. Taking these insights you will be able to develop a social media strategy template that builds on previous successes. Knowing what does and does not work is hugely valuable for social media optimization, reducing trial and error, and boosting future ROI. Moving forward your social media strategy should also make provisions for engaging prospects and contacts outside the confines of the campaign, further embedding social within your business processes and unlocking greater value from your social assets. Ultimately, every iteration of your social campaigns should help you refine and optimize strategies to deliver continuously improving returns.